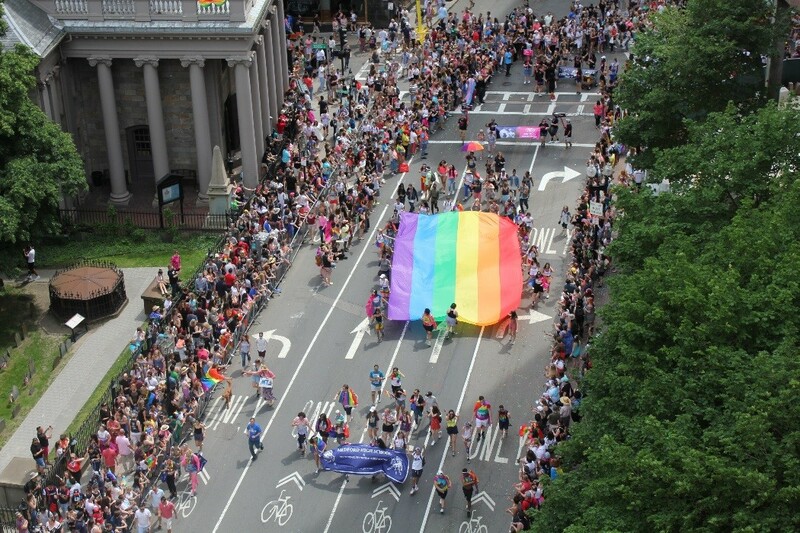 (Boston, MA) – June 13, 2018 – Boston Pride Week 2018 was one for the record books as the 48th anniversary of Pride celebrations throughout the week, including the Pride Parade and Festival on Saturday June 9, saw almost one million participants at a series of 50+ events. This year’s historic parade included more than 55,000 marchers from 360 contingents who marched along the 2.27-mile route from Copley Square the City Hall Plaza lined with an estimated 750,000 spectators. The Pride Festival at City Hall Plaza was filled with activity all day long including 130 vendors, a Family Fun Zone and headline entertainers Martha Wash and Big Freedia, who drew huge crowds. One of the highlights of the Pride Parade was the contingent of Mayors from across the country who were hosted by Mayor Martin J. Walsh for the annual United States Conference of Mayors meeting in Boston. 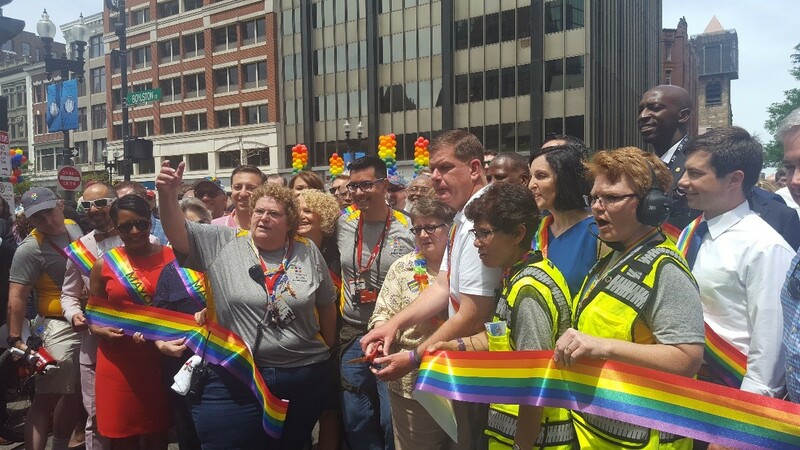 Mayor Walsh marched with 100 mayors who all wore rainbow sashes in support of the LGBTQ community. The Mayors were active on social media throughout the parade, helping Boston Pride trend nationally on Twitter. The Parade also included Grand Marshal, Freedom for All Massachusetts, the coalition of organizations fighting the repeal of the public accommodations law that would remove transgender rights. The Parade also included a remembrance contingent to honor 11 transgender people who were fatally shot or killed by other violent means so far in 2018. Pride Week included more than 50 events throughout the community, which kicked off with the annual Rainbow Pride Flag Raising on City Hall Plaza, followed by Pride Day @ Faneuil Hall, the High Heel Dash for Charity, Pride Political Forum on the repeal of the public accommodation law, Pride Lights, Pride Night @ Fenway, Pride Night @ The Revolution, block parties in the Back Bay and Jamaica Plain and the Official Pride Closing Party at The Grand. Pride Sponsors helped to fund costs associated with the parade, festival and other free public events, and 10 percent of all sponsorships are dedicated to the Boston Pride Community Fund, which supports grassroots LGBTQ organizations. Since 2016, Boston Pride has awarded over $50,000 to 35 local grassroots organizations, supporting the mission of promoting social justice for the LGBTQ community. “Boston Pride wants to thank our supporters and volunteers for making Pride Week 2018 a resounding success. We often say that ‘it’s always someone’s first Pride’ and that’s why we are committed to do what we do every year for the LGBTQ community,” said Bruni.